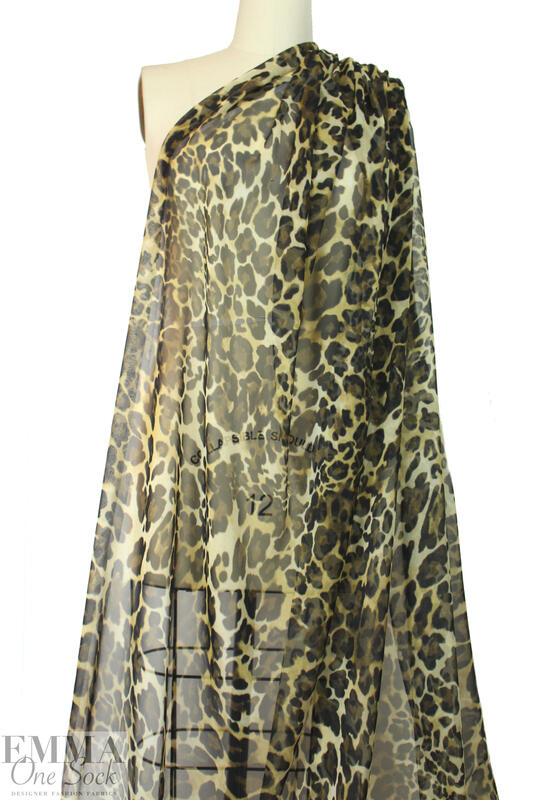 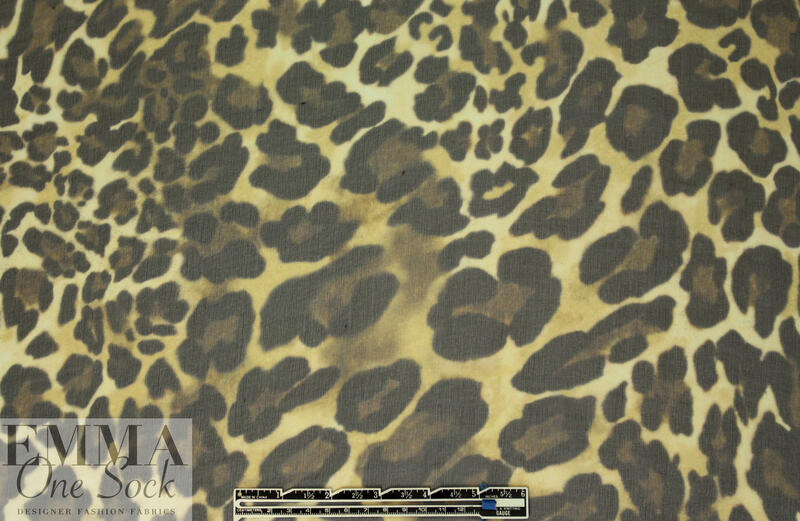 From a NY designer, this is an exquisite Italian printed silk chiffon, a sheer and floaty woven with a leopard print in sepia-tinted earth tones (PANTONE 13-0922, 19-0000, etc.). 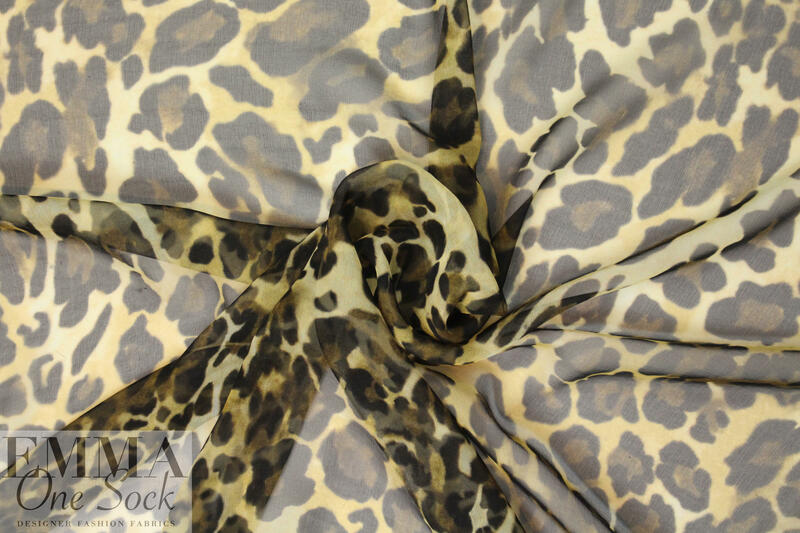 The quality is beautiful, and it is equally saturated on both sides, making it perfect for a scarf, or line or layer for a blouse, top or tunic. 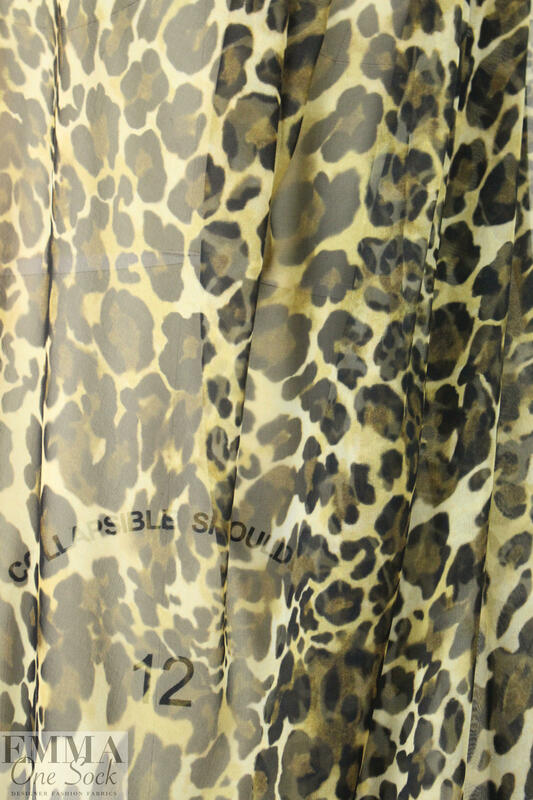 Dry clean, or test first if you wish to hand wash.